We initially rescued three Warrens when we took on a second plot in September 2014. 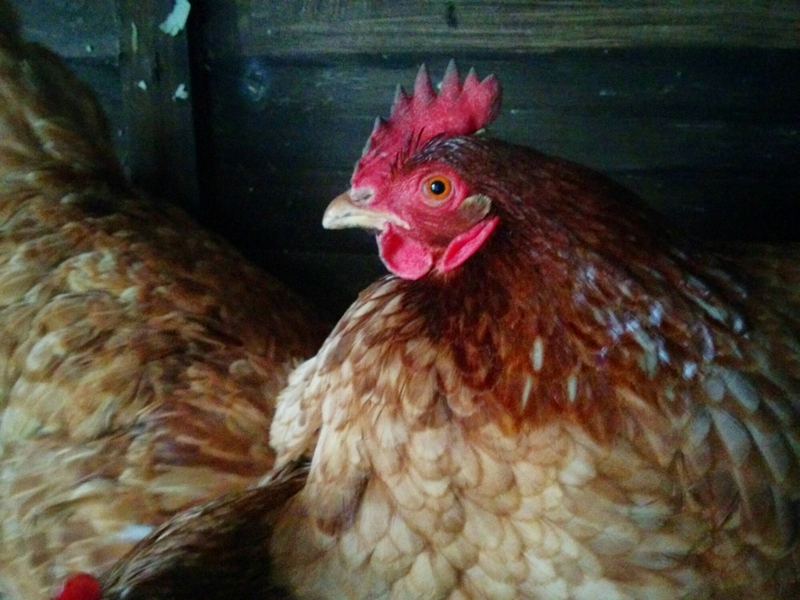 Quickly named Lottie, Masie and Doris, we worked hard to give them a good diet and cleaner accommodation. It paid dividends in a plethora of eggs! 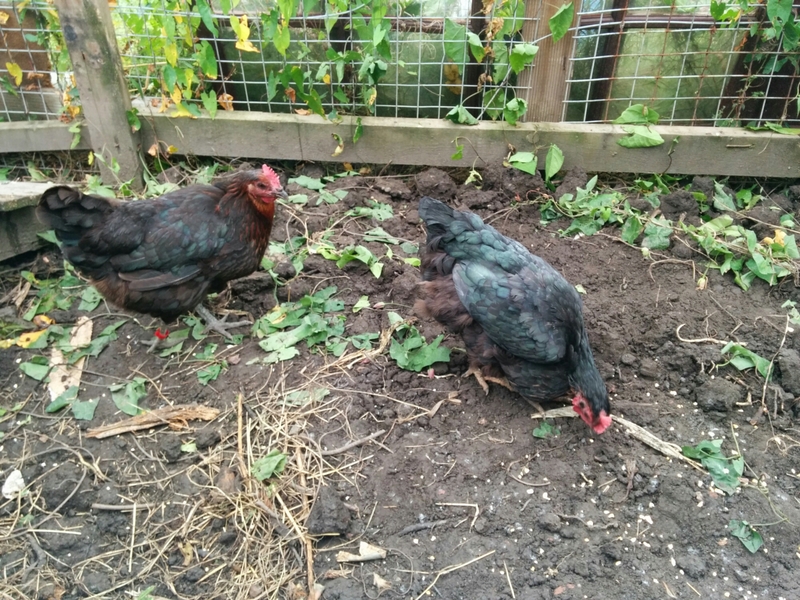 Later additions included three more Warrens (Betty, Annie and Evie) who were given to Phil by someone on another allotment site who was giving up and wanted a good home for them. Phil already having several of his own, gave them to us. Sadly we lost Betty to a fox not long after we got her, and Annie about three years ago but Evie still continues strong. Emily was the sole survivor of a different fox attack, smart enough to escape the Fox but not my husband managed to catch her. We looked after he while we waited for the owner to repair the coop. He never did and shortly after left the site. So we kept her. She definitely does have PTSD and thus should be approached with caution. In 2015 we managed to hatch our first chickens with Emily as the broody. She managed to hatch 4 eggs which is amazing and we have Holly and Molly still. Unfortunately, we couldn’t keep the other two Vorwerks as they were male and cockerels aren’t allowed on site. The same summer we hatched Holly and Molly, Cliff managed to hatch an array of chicks of different breeds. In fact he hatched so many he couldn’t keep them all so we took on Polly and Dolly, two pure breed Cream Legbars. These lay beautiful pale green eggs but as a pure breed, does not lay during autumn or winter. 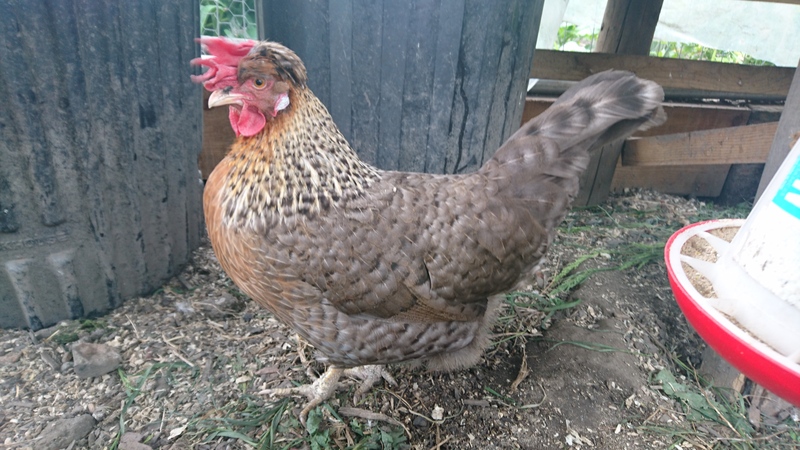 2018 has seen us loose a couple of the older chickens so we are now hoping that either one of our chickens goes broody or someone else has a spare one so we can try hatching our own again. At the tail end of 2017, we were given 5 Black Rocks by Geoff has he decided to try his luck with another breed. These are hybrid chickens which will lay all year round, securing our egg supply at last! These lay light brown eggs of varying sizes depending on the age of the chicken laying it. Rapidly these were named Snap, Crackle, Pop, Fizz and Squeak. Sadly, we lost Crackle a few weeks after we got her and Squeak in August 2018. 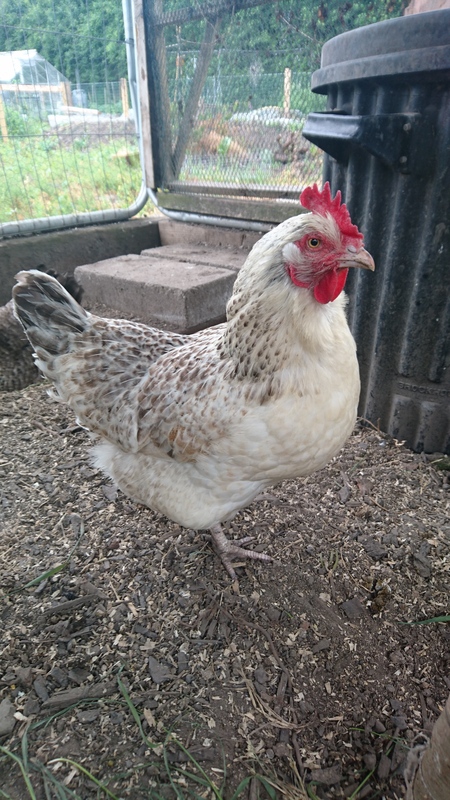 In July 2018, we took on two Cuckoo Marans from Steve, called Nelly and Daisy. Unfortunately, we lost Nelly and Daisy soon after they settled in. 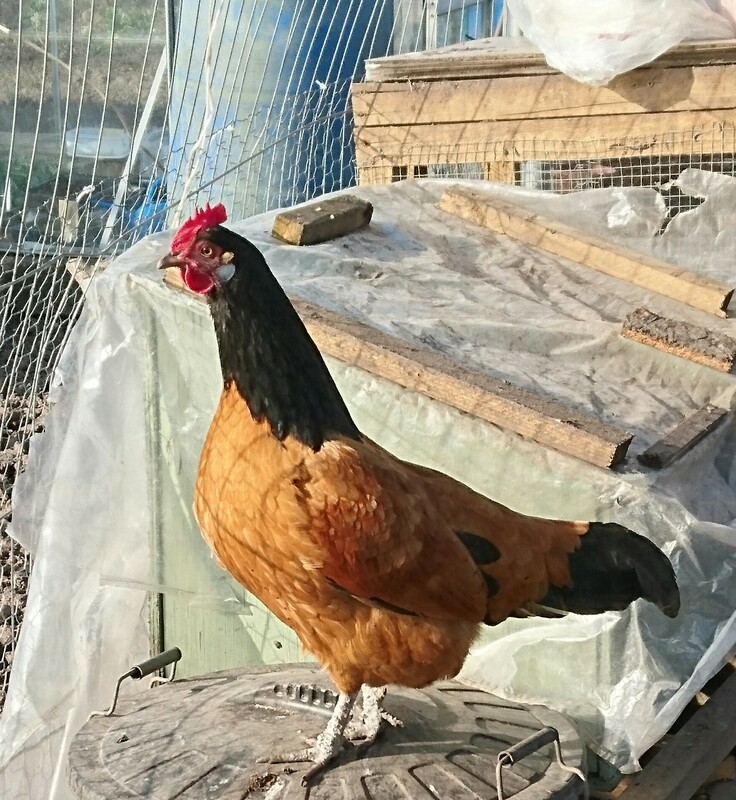 Cuckoo marans are beautiful birds and lay lovely eggs.